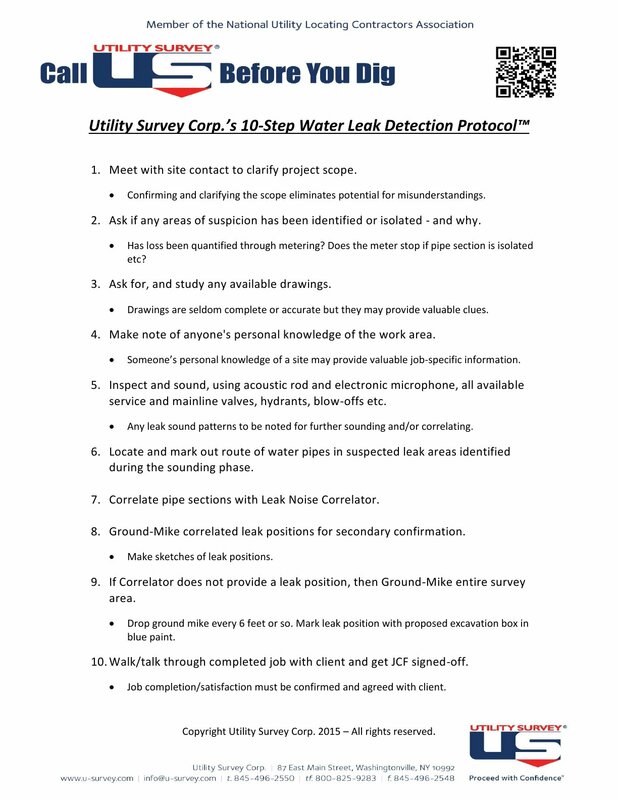 Utility Survey Corp. utilizes varieties of geophysical techniques to delineate subsurface conditions and locate buried targets. Geophysical surveys are non-destructive and they can provide valuable subsurface information for decision making about your construction, engineering or environmental projects. 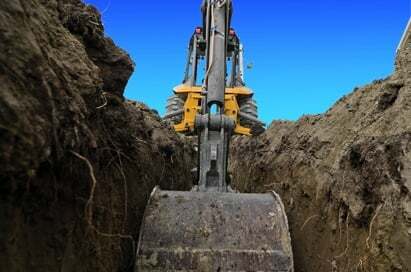 If you are looking for something underground, whether it’s as small as a water valve or as big as an underground cavern, whether it’s as shallow as an underground utility line 2 feet down or as deep as the bedrock tens of feet down, we might have a solution for you! Our geophysical techniques include ground penetrating radar (GPR), electromagnetic induction (EMI), electrical resistivity imaging (ERI), and seismic refraction, to name a few. Our specialty in geophysics enables us to choose appropriate geophysical techniques and data acquisition parameters according to the site condition for your underground or underwater investigation goal! 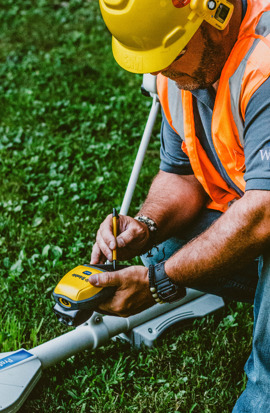 Among all those people who have used ground penetrating radar (GPR) services, there are many who don’t really know the difference between “GPR services” and “geophysical services”. Some may have not even heard about “geophysical services”. Due to the wide use of GPR in underground utility locating in recent years GPR has become the perceived face of geophysics to many people whereas there is a great deal more to it as we will see. So, what’s the difference between GPR and geophysics? Simply put, GPR is only one of a wide variety of geophysical techniques such as electromagnetic induction, electrical resistivity imaging, gravity, seismic methods, etc. These methods are well known by mineral prospecting and hydrocarbon exploration industries and have been adapted for environmental, engineering and other applications for years. Why do we provide geophysical services instead of only GPR services? It is because for many subsurface targets we are consulted to search for, GPR is not suitable or not adequate. To provide better services to our clients, sometimes other geophysical techniques need to be considered. For example, electromagnetic induction (EMI) is one of the frequently used methods besides ground penetrating radar (GPR) for non-destructive subsurface investigations. EMI generates a primary magnetic field to induce an electrical current in the earth. A secondary magnetic field is generated by the current and measured. The characteristics of the measured magnetic field reflects the subsurface condition. While GPR can give detailed subsurface images, its investigation depth is very limited in silt or clay soils which are very common in the Tri-State area. 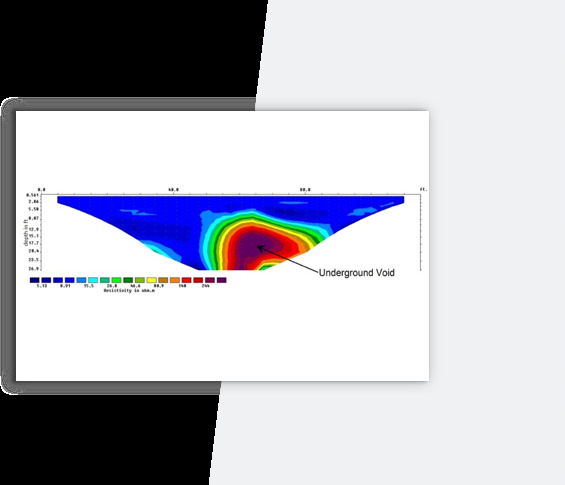 EMI provides an alternate way of subsurface imaging where the GPR effectiveness is limited. An EMI instrument is typically used with a differential GPS for rapid subsurface mapping. Its survey speed is typically 5 times of GPR’s and it is very efficient for surveying large areas. Two-dimensional (2D) maps showing subsurface electrical conductivity variations can be generated in field for evaluation. Metallic objects are easiest to identify in the maps, but other non-metallic targets or features could be identified as well. The maps generated from EMI surveys can be easily imported into a mapping system such as Google Earth or AutoCAD for positioning reference and presentation. Besides GPR and EMI, Utility Survey Corp. also utilizes other geophysical methods such as electrical resistivity imaging (ERI), seismic refraction, multi-channel analysis of surface waves (MASW), geophysical borehole logging, etc. When you think you need a GPR service, you might actually need a more comprehensive geophysical service. With many years of collective experience working on both large and small projects, our specialty in geophysics enables us to choose geophysical methods, instrumentation, and survey parameters appropriate for the investigation goal according to the site conditions. What are the typical applications of your geophysical services? What are the typical methods/tools you use for geophysical services? How does ground penetrating radar (GPR) work? A GPR system works by sending an electromagnetic wave into the target material (earth, concrete, etc.) via an antenna. The reflective waves are then received in a time window reflecting the layers and conditions inside the material. What is EM induction (EMI) and what’s difference between EMI and GPR? EMI generates a primary magnetic field to induce an electrical current in the earth. A secondary magnetic field is generated by the current and measured. The characteristics of the measured magnetic field reflects the subsurface condition. 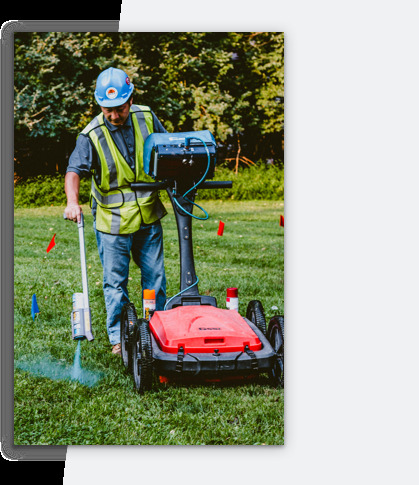 While GPR can give detailed subsurface images, its investigation depth is very limited in silt or clay soils which are very common in the Tri-State area. EMI provides an alternate way of subsurface imaging where the GPR effectiveness is limited. An EMI instrument is typically used with a differential GPS for rapid subsurface mapping. Its survey speed is typically 5 times of GPR’s and it is very efficient for surveying large areas.